We all know the rich and famous visit the most expensive and exclusive bars, restaurants and shops throughout the world. But even though celebs are known for their champagne wishes and caviar dreams, sometimes they live life just like the rest of us. Here’s our list of affordable spots around the country — from pizza shops to nail salons — visited by Hollywood’s elite that will leave you feeling like a movie star without breaking the bank. And, of course, music legend Jimmy Buffett is a huge fan of good drinks, good food and good people, which can be found at Margaritaville’s many dining options throughout the world! Sandra Bullock is known for her illustrative career in Tinseltown, but did you also know she owns a chic floral boutique attached to a bakery and deli in the heart of ATX? Speed into this rustic outpost for a bouquet or terrarium and brag to your friends that you got a flower arrangement from an A-list celeb! Matt Damon gets wicked excited to dine at this Bean Town mainstay with locations throughout the actor’s hometown. Visit Legal’s Copley Place location for a cup of their award-winning clam chowder and enjoy panoramic views of Boston’s historic South End or grab lunch from their extensive take-out menu and settle in for a picturesque picnic in the Public Garden. 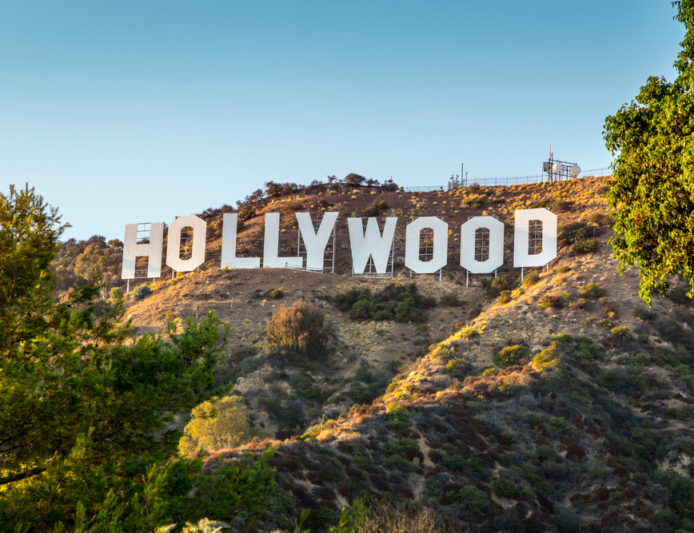 Beautify for a night out in La La Land with a stop at this Sunset Strip salon favored by some of Hollywood’s biggest names including Demi Moore and Diana Ross. Specializing in its signature “nail cultivation system,” which creates a custom regimen for each client for only $35. Rushing to a red carpet? Try their express manicure for only $25 and you’ll be out the door of their recently remodeled West Hollywood location in no time! With years in showbiz you’d think John Travolta and Kelly Preston would have an impressive wardrobe department at home, but the famous parents once visited this massive costume shop for theatrical dress-up clothes for their three kids. With dancewear and costumes for all ages, this is a one-stop shop for the kid in all of us. Robert Pattinson has counted himself among the thousands of daily customers who enjoy the healthy pizza options at one of the many locations throughout Vancouver. Sink your teeth into Fresh Slice’s multigrain crust, and low-calorie sauce and cheese on their signature pies including the Greek Feast and Garlic Chicken Feast.